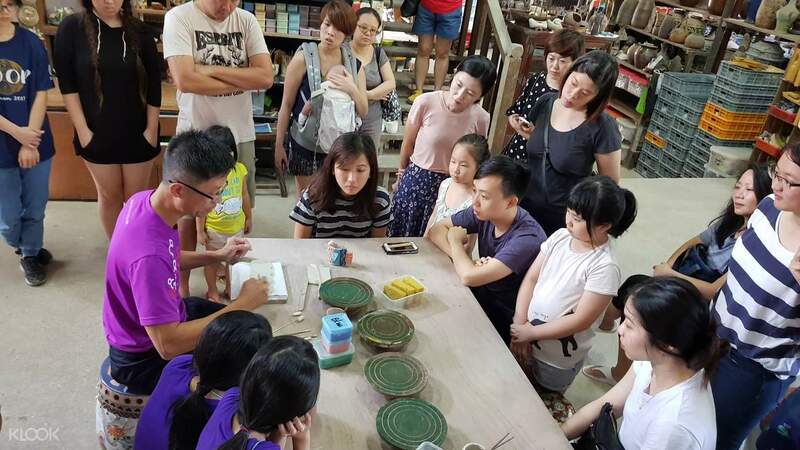 Shop for traditional Peranakan porcelain wares, locally handmade crafts and other decorative merchandise before you leave! Had fun with the kid doing the clay mug. Would have signed up for the package with pottery wheel if not for klook's misleading description that pottery wheel is only suitable for those above 16. 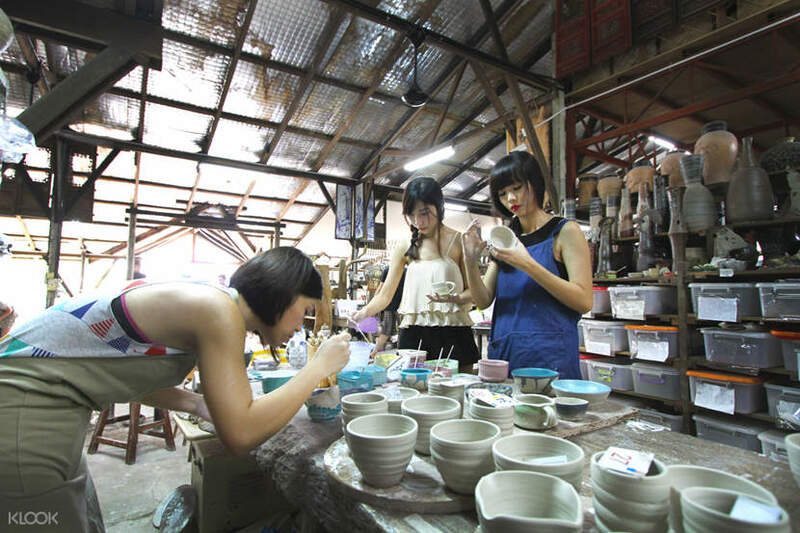 Get ready to unleash your inner artist and get down and dirty at an immersive pottery workshop! 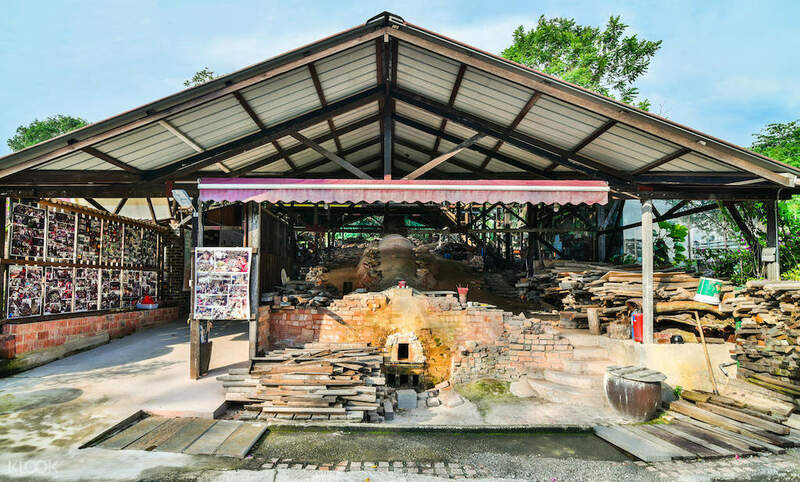 A perfect bonding activity for family members and friends, this approximately 2-hour long session will not only challenge you to create pieces of art from mere lumps of clay, but will also introduce you to the traditional process of pottery and firing, right at the oldest surviving brick-built kilns in Singapore. 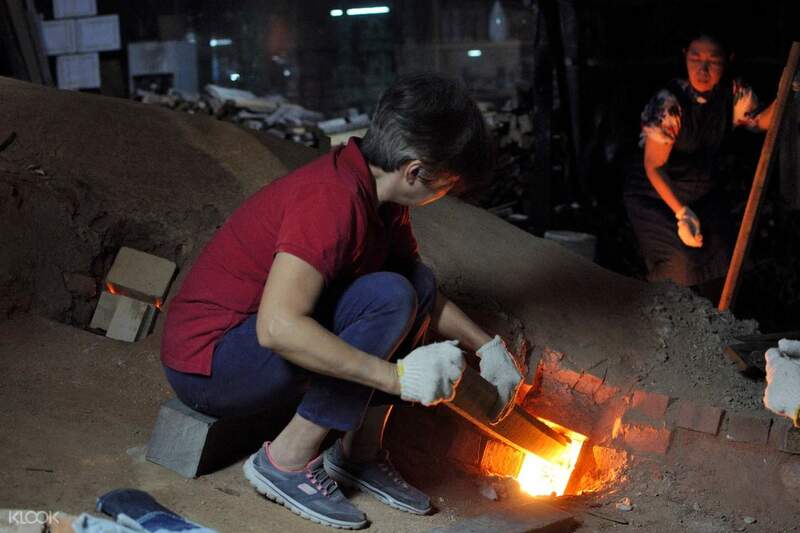 Unlike other kilns powered by gas or electric, Dragon Kiln remains true to its roots, using wood to fire their kilns to produce unique and characteristic pieces. Throughout the workshop, experiences instructors will teach you tips and tricks to expertly coil, pinch, roll, and shape your clay by hand until you're satisfied with your masterpiece. If you're up for a challenge, test your skills at the pottery wheel, a more advanced yet easily learnable technique that doesn't require any prior experience! After some finishing touches, you'll turn over your creation for the next steps - glazing and firing - which requires a 3-4 week wait before you can finally take home your finished product. Experiencing the age-old and almost obsolete tradition of kilning by firewood may be a long process, but it's definitely one that's worth the wait! really a fun activity to try out and unleash ur creativity! the place is really hard to get in/get out so prepare to take private transport. when coming out, there may not be any taxi/grav avail even with surged price. really a fun activity to try out and unleash ur creativity! the place is really hard to get in/get out so prepare to take private transport. when coming out, there may not be any taxi/grav avail even with surged price. It was a wonderful experience for my children and me. My children had so much fun making their own cups for the very first time! Quite a therapeutic + bonding session for us too. The instructors are also friendly and approachable. We'll definitely make time to return for another round when possible! It was a wonderful experience for my children and me. My children had so much fun making their own cups for the very first time! Quite a therapeutic + bonding session for us too. The instructors are also friendly and approachable. We'll definitely make time to return for another round when possible! We went on a full house day so it felt busy but still lots of fun. The instructors were very nice and helpful. Don’t expect to be handheld closely or create a perfect piece, you’ll have to enjoy the process of creating, exploring and relaxing on your own to get the most out of it. We went with three young kids so we adults did much of the work but it was a really good bonding activity. 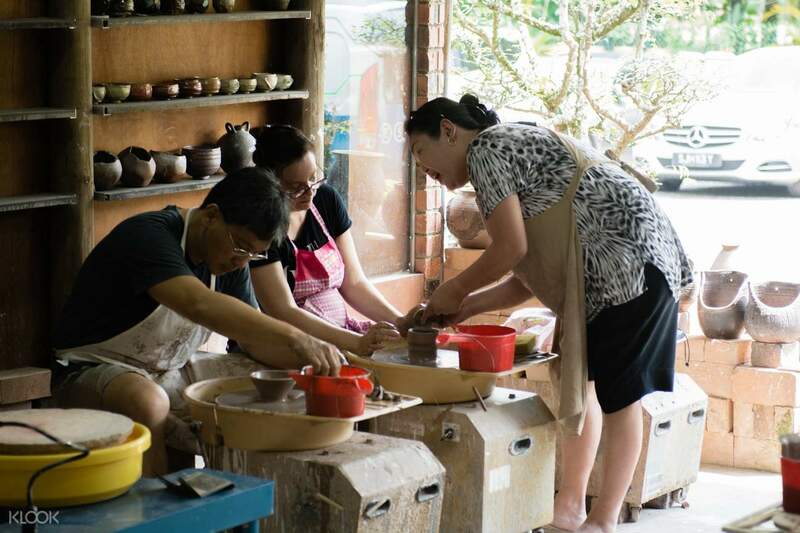 For the potters wheel experience, other than playing with clay on your own, the instructor will handhold you to make something standard so don’t worry if you mess up at the wheel by yourself! The whole place is a very nice bonus - great greenery (love the hidden pond) and wooded/bamboo architecture that house an amazing collection. it’s nothing like anywhere else in Singapore. We went on a full house day so it felt busy but still lots of fun. The instructors were very nice and helpful. Don’t expect to be handheld closely or create a perfect piece, you’ll have to enjoy the process of creating, exploring and relaxing on your own to get the most out of it. We went with three young kids so we adults did much of the work but it was a really good bonding activity. For the potters wheel experience, other than playing with clay on your own, the instructor will handhold you to make something standard so don’t worry if you mess up at the wheel by yourself! The whole place is a very nice bonus - great greenery (love the hidden pond) and wooded/bamboo architecture that house an amazing collection. it’s nothing like anywhere else in Singapore. It was a good experience! We sign up for hand buiding class but end up continue to have the afternoon class too. Good for first timer. It was a good experience! We sign up for hand buiding class but end up continue to have the afternoon class too. Good for first timer. is a great experience to build something for ourself, a short escape for myself & my partner from the big city. is a great experience to build something for ourself, a short escape for myself & my partner from the big city. Well guided experience! Enjoyed it very much and absolutely a good activity for the kids and family.. Well guided experience! Enjoyed it very much and absolutely a good activity for the kids and family.. Opted for the hand-building session and it a fun and interesting activity! Instructors were kind and patient and the demonstrations were succinct and effective. Just take note that you might have to walk out to the main roads to flag a cab or drive if you can :) Highly recommend! Opted for the hand-building session and it a fun and interesting activity! Instructors were kind and patient and the demonstrations were succinct and effective. Just take note that you might have to walk out to the main roads to flag a cab or drive if you can :) Highly recommend! Had fun with the kid doing the clay mug. Would have signed up for the package with pottery wheel if not for klook's misleading description that pottery wheel is only suitable for those above 16. Had fun with the kid doing the clay mug. Would have signed up for the package with pottery wheel if not for klook's misleading description that pottery wheel is only suitable for those above 16. It is fun and a great experience for my daughter. She absolutely loves the clay making sessions with her friends. We will be back for more. It is fun and a great experience for my daughter. She absolutely loves the clay making sessions with her friends. We will be back for more. 1st time. It's fun. Kid loses patience during the long brief. 1st time. It's fun. Kid loses patience during the long brief.